Travelling in the trains of India is a special experience. This article talks in detail about ten tips that you need to remember if you are planning to take up train experience in India. This article is not focused on luxury trains or special tourism trains established by the country. We are focusing on metro and state-to-state trains. Tickets and other queries related to train travel are controlled by IRCTC. You can book your tickets through the official site or through any travel agent site. You can book your tickets online too. The tickets tend to get filled way before the departure date and thus, it is important to book at least a month prior to the journey. If it is the tourism season, booking tickets at least 90 days before the travel date is smart. Local and metro train tickets are available on a daily basis in ticket counters in railway station. Usually trains are punctual. In some cases, delay becomes inevitable. Always have a book or any other element that would help you kill time. The same goes for your train journey too. Not all routes would be aesthetically pleasing to spend time with sightseeing. Be prepared with some hobby. Fellow travellers would be mostly either friendly or to themselves without causing any problems. But, it is better to be alert about people around you and avoid accepting any snack from them. Prefer chains and locks for your baggage and your luggage and belongings are your responsibility. Once you get out of the train at your station, you might not be able to find perfect signs to find where the exit is. The best option is to follow where most of the people are heading. It would usually lead you to the exit. In case of connecting trains, you can wait for the announcer to mention the platform number. 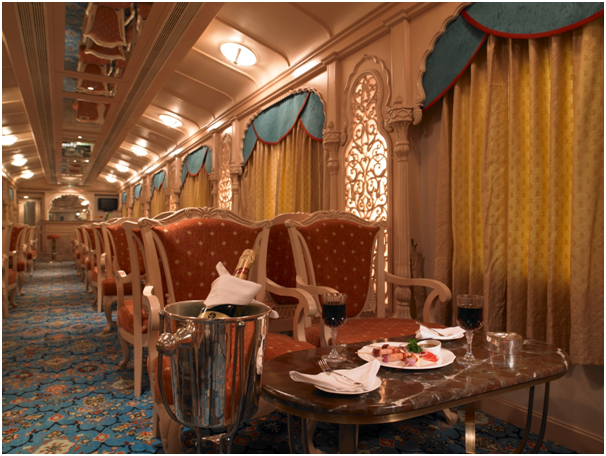 There is no buffet car in the luxury trains of India. You can either order food to the attendant who requests your order or get from small time vendors who walk through the train. It is always better to buy water from reputed shops rather than the vendors who sell inside the train. Cleanliness of toilets and other elements is a questionable feature. Always carry hand sanitizer and wet wipes with you. Bring your own toilet paper. You cannot find those in the train. If you are in any top cities in the country, it is better to avoid the metro train during peak morning and evening hours unless you want to really understand how congested it is to use metro train. No matter which train you skip, do not skip the toy train travel of Shimla, Ooty or other hill stations. The second class is the cheapest version of train ticket. The cars are jet packed and the seats are booked in first-come first-served basis. There will be no berth for sleeping too. In case of sleeper class, your seats will be reserved and you will have berth facilities. There are AC and non-AC versions of sleeper class. AC tier one to three are the first class version and you can experience high class service and better cleanliness here. If your destination is not the final destination of the train, it is better to have an alarm set for an approximate time which should be at least an hour in prior to the exact time promised to reach your destination. There will be no vocal signal to indicate that the station has arrived. You need to be alert. Travelling in Indian trains will be one of the most authentic and memorable experience to enjoy the majestic country. About 25 million people use the trains every day and you can really enjoy the real style of India with train travel.